"'Memories of a Mill Town' offers a rich and interesting introduction to the many layers of community on Bainbridge Island, whose common ground was the Port Blakely mill and shipyard. 'Memories' documents these stories through an exceptional combination of interviews, oral history, still photographs and beautiful music." 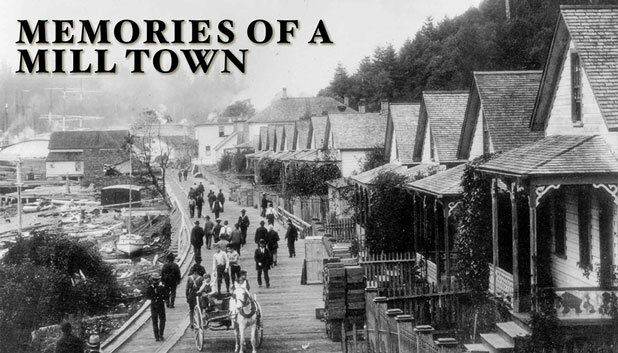 "Thank you for your amazing work on the making of the Port Blakely Milltown. Your talents were just what we needed to make this story come alive." This short historical documentary depicts the rise and fall of the largest sawmill in the world and how its legacy affects Bainbridge Island, Washington. At the turn of the 20th century, Port Blakely and its sawmill were better known than Seattle. This raw seaport and mill attracted immigrants from all over the world who were searching for a job and a better life in America. Stories and memories recalled by former residents and relatives reveal the surprising histories of the Native American, Scandinavian and Japanese communities that once thrived alongside each other in this bustling town.